This exquisite custom built home is less than two years old and features all the upgrades and amenities one could ever dream of! Enjoy the privacy of nearly 7-acres of lush, green rolling land with four board fencing and the convenience of of the Gene Snyder, grocery and retail shopping located less than six miles away. The Parklands, Big Beech Woods at Pope Lick Park is located just to the north of the property, providing fantastic hiking trails and additional outdoor recreational space. The sprawling open floor plan features a divine first floor master with sitting area, fireplace, built in laundry, and spa like master en suite. The kitchen is chef inspired with gorgeous, custom, soft closing cabinets, 6-burner gas cook top, stainless appliances, coffee and wine bar, breakfast nookand large quartz island. A gorgeous, light-filled sun room, an office suite with fireplace and private restroom and a formal dining room finish off the impressive first floor. The second floor features two large additional bedrooms with jack and jill bathroom, a guest suite with private bathroom, and a large bonus room or fifth bedroom with the addition of a closet. A second laundry room is located centrally on the second floor for convenience. A portion of the bonus room remains unfinished but has been prepped with electric and is ready for your additional build out. A second office, fitness room, play room, craft room or an additional bedroom are all possible uses! A large walk-out basement level with 2,812 square feet has a roughed in bathroom and tall ceilings and is ready to be finished to your liking. Enjoy the views of the wildlife and green space from the back covered deck. The lower covered patio provides even more outdoor entertaining space. Gorgeous neutral colors and decor with upgraded trim throughout, as well as a three-car garage with mud-room, security system and more! 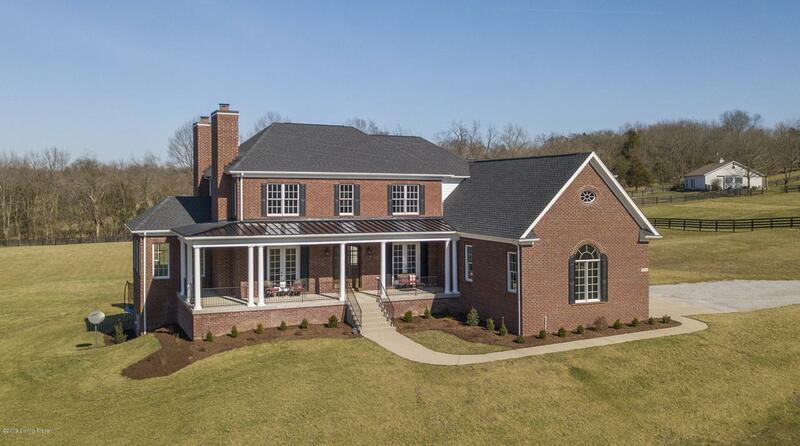 This custom home will not disappoint, see it today!